In today’s fast-paced world, statistics is playing a major role in the field of research; that helps in the collection, analysis and presentation of data in a measurable form. 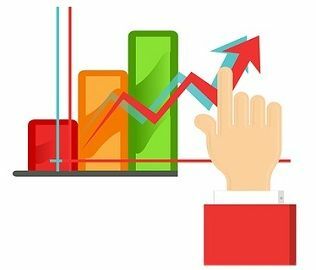 It is quite hard to identify, whether the research relies on descriptive statistics or inferential statistics, as people usually, lacks knowledge about these two branches of statistics. As the name suggests, descriptive statistics is one which describes the population. On the other end, Inferential statistics is used to make the generalisation about the population based on the samples. So, there is a big difference between descriptive and inferential statistics, i.e. what you do with your data. Let’s take a glance at this article to get some more details on the two topics. Meaning Descriptive Statistics is that branch of statistics which is concerned with describing the population under study. Inferential Statistics is a type of statistics, that focuses on drawing conclusions about the population, on the basis of sample analysis and observation. What it does? Organize, analyze and present data in a meaningful way. Compares, test and predicts data. Usage To describe a situation. To explain the chances of occurrence of an event. Function It explains the data, which is already known, to summarize sample. It attempts to reach the conclusion to learn about the population, that extends beyond the data available. Descriptive Statistics refers to a discipline that quantitatively describes the important characteristics of the dataset. For the purpose of describing properties, it uses measures of central tendency, i.e. mean, median, mode and the measures of dispersion i.e. range, standard deviation, quartile deviation and variance, etc. The data is summarised by the researcher, in a useful way, with the help of numerical and graphical tools such as charts, tables, and graphs, to represent data in an accurate way. Moreover, the text is presented in support of the diagrams, to explain what they represent. Inferential Statistics is all about generalising from the sample to the population, i.e. the results of analysis of the sample can be deduced to the larger population, from which the sample is taken. It is a convenient way to draw conclusions about the population when it is not possible to query each and every member of the universe. The sample chosen is a representative of the entire population; therefore, it should contain important features of the population. Descriptive Statistics is a discipline which is concerned with describing the population under study. Inferential Statistics is a type of statistics; that focuses on drawing conclusions about the population, on the basis of sample analysis and observation. Descriptive Statistics collects, organises, analyzes and presents data in a meaningful way. On the contrary, Inferential Statistics, compares data, test hypothesis and make predictions of the future outcomes. There is a diagrammatic or tabular representation of final result in descriptive statistics whereas the final result is displayed in the form of probability. Descriptive statistics describes a situation while inferential statistics explains the likelihood of the occurrence of an event. Descriptive statistics explains the data, which is already known, to summarise sample. Conversely, inferential statistics attempts to reach the conclusion to learn about the population; that extends beyond the data available. So, we have enough discussion on the two subjects, all you need to know is that descriptive statistics is all about illustrating your current dataset whereas inferential statistics focuses on making assumptions on the additional population, that is beyond the dataset under study. While descriptive statistics provide the summation of the data the researcher has actually studied whereas inferential statistics, makes the generalisation, which means the data provided to you is not actually studied. Thanks team,really helpful in understanding the key concept…thanks again. thanks, i love the break down of it. Very nice comparison and explanation. Its a really helpful for me to understand basic concept of descriptive and inferential statistical analysis with comparison. Explained in a very simple manner. Good job.